If you want like pets and camping, most campgrounds will allow these important family extensions. Leashed dogs are quite common in campgrounds. You may want to check with your park host ahead of time to be sure they allow pets. Some campgrounds are not pet friendly. Your pet would love to go camping. They are low maintenance and love the outdoors. Always keep yours near you and your campsite. Some adapt to different surroundings better than others, so be careful when you approach a next-door-neighbor dog. Most dogs are small in nature and easy to get along with in the campground. Small children have a tendency to be attracted to dogs and love to pet them and talk to them, so please make sure your pet is kid friendly before bringing him. Here are a few words of wisdom about pets and camping. Remember dogs love to bark and this will disturb other campers and cause many to complain, so keep him quiet and occupied. I know it is hard to control everything your dog does, but be considerate of those who may not like dogs or may be frightened by them. 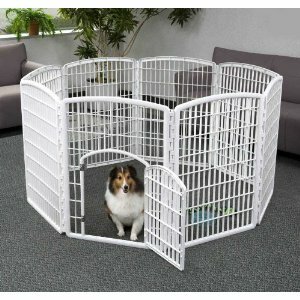 You would be surprised at the squirrels, rabbits and birds your dog would love to chase, so please keep him contained. Dogs love to go on hikes or let him run next to you. Take him when you ride your bicycle. A pull behind pet tow will be fun for him to ride in. He will feel like he is the parade honoree! 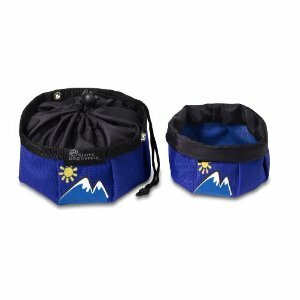 This will also serve as an overnight sleep area or a travel unit for your pet. Always keep your pet on a leash. Each campground has their own policies about taking your pet camping. There may be limits as to where pets are allowed. You can keep your pet inside a portable fenced area when he is outside and you are not walking him or want to have him on a leash. A pets and camping friendly way to show respect for your neighbors who may not be as fond of your pet as you are, is to keep him contained. They are easy to put together and are lightweight. This pet fence is intended for small to medium pets. Large dogs will not be secure inside because they could easily break it down. Stakes are driven into the ground to hold it securely anchored. Most of them measure nearly 34 inches high. That is plenty high to keep him safe and secure. This would be great for when you want to walk around without your pet. Put him in there and he will be safe. Make sure he can't jump out. Putting things in the gate for him to climb on is a good temptation to use it as a springboard to freedom! 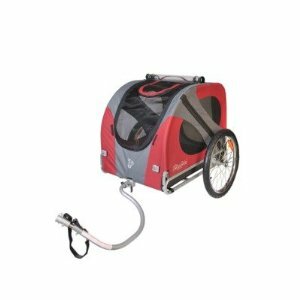 Please keep your pet close to you as you ride your bicycle and keep the leash long enough for him to run without getting tangled in the wheels. Always keep him at a safe distance from your bike and also close enough to keep him out of other's way. He will love the exercise and fresh air and so will you. Dogs have a tendency to attract ticks. There are plenty of ticks in the woods. Check your pet often for them and spray them with at tick repellant. Always spray your own feet and legs with repellant before going into the wooded areas. Check shoes and socks when you return, because they like to bury down in fuzzy areas. Don't forget to bring plenty of food for your pet. A weighted food bowl will hold food when traveling and will not spill out if toppled. Fill one with fresh water for easy hydration. If you have treats, this will keep them as fresh. It will hold chew toys and pet supplies, also. So, bring your pet with you camping and you and Fido can enjoy the time outdoors! One tip to remember: Always clean up after your pet. Carry a plastic grocery bag or doggy doo disposal bag with you. Turn the bag inside out, put your hand inside the bag, pick up the doo and hold it, then turn the bag right side out. Tie it up and throw it in the trash receptacle. Pets and camping go together very well if both are willing to do their part.